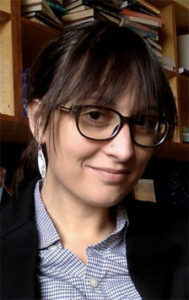 Dena Smith is an assistant professor in the Department of Sociology, Anthropology, and Health Administration and Policy (SAHAPP) at the University of Maryland, Baltimore County (UMBC), where she researches, writes, and teaches about the mental health professions, gender and mental health, and the sociology of medicine more broadly. Dr. Smith’s forthcoming book, Medicine Over Mind: Mental Health Practice in the Biomedical Era, will be published by Rutgers University Press. The book describes the consequences of medicalization for mental health practitioners with a focus on the role of the DSM in practice, as well as doctors’ ideas about etiology and treatment. Smith explores the different impacts of the biomedical model on practitioners with diverse training backgrounds. Her other central area of research is on men’s mental health, specifically how traditional masculinity beliefs impact mental health outcomes. Dr. Smith is also affiliate faculty in the Doctoral Program in Language, Literacy and Culture, as well as in the Department of Gender and Women’s Studies at UMBC. Smith received her Ph.D. from the Department of Sociology at Rutgers University, and has also taught at Goucher College.